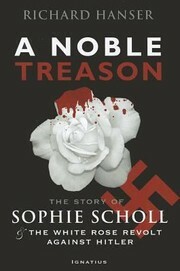 1 edition of A Noble Treason found in the catalog. Add another edition? Are you sure you want to remove A Noble Treason from your list? Published October 19, 2012 by Ignatius Press . March 9, 2018 Edited by Todays Martyrs Reviewer Edited without comment. March 7, 2018 Edited by CrisisMagazineReader Edited without comment.